Online travel agent Opodo found that more than a tenth of 18 to 24-year-olds admitted they actually used their smartphone more while on holiday. 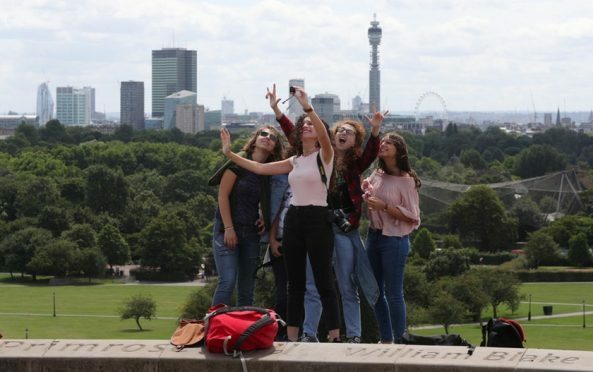 The research also found that besides battery life, the front-facing selfie camera was the most valuable feature for millennial smartphone users when abroad. The recent abolition of EU roaming charges has created more freedom for smartphone users, enabling them to access and post to social media without fear of extra charges. Perhaps unsurprisingly given their close relationship with the technology, those in the 24 and under age bracket are the least likely to take a separate camera on holiday, with 52% instead relying on their smartphone for holiday snaps. In contrast, 61% of those over 55 believe a camera is more important than a mobile phone for taking pictures while away. Robert McNamara from eDreams Odigeo, parent company of Opodo – who commissioned the research – had a warning for younger smartphone users. “Technological advances have made it easier for travellers to embark on a ‘one device’ holiday, with mobile phones able to deliver great travel photography too,” he said. Social media platforms such as Instagram and Snapchat are now actively targeting millennial users as they look to boost active membership numbers, but the figures around the apps already highlight how popular they’ve become. According to recent figures from Snapchat, which has around 178 million users, the platform is on course to be used for one trillion photos in 2017, with an average of 3.5 billion being taken in the app every day.